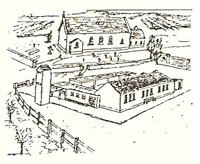 Established on the current site in Kildavin since 1959, Kildavin N.S. is located in an area of stunning natural beauty next to the R.C. Church in the heart of the village. 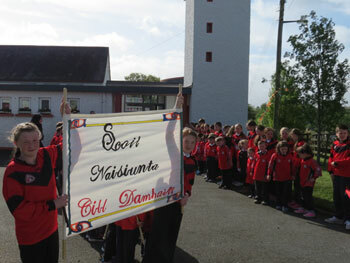 The school is a co–ed, six teacher school under the patronage of the Catholic Bishop of Kildare and Leighlin. Mr Philip Ryan is chairperson of the Board of Management; Gillian Murphy is the principal. 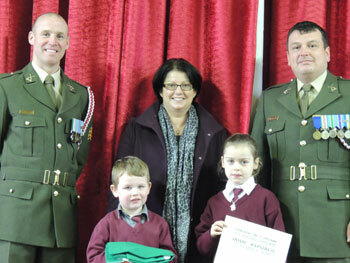 The current enrolment in Kildavin N.S is 106 children. The school is managed by a voluntary Board of Management. The Board of Management serves a term of four years. There is generally one meeting each term. Whilst espousing a strong catholic ethos, Kildavin N.S. welcomes children of all faiths and none. The school enjoys the support of an active Parents Association which is affiliated to the National Parents Council. The school is currently staffed by six permanent teachers. The children are taught in groups of two classes per room. There are four main stream teachers and two Learning Support /Resource, both of whom are shared. The school enjoys the use of the facilities of Spellman Hall in the village and of Spellman Park G.A.A. Complex for P.E. and other activities. The school works closely with the local G.A.A. in order to provide a full range of Gaelic games for both boys and girls. In addition to this the children have opportunities to take part in inter school competitions in a wide variety of activities to cater for all interests. Each of our five classrooms is equipped with interactive white board, children’s computers and library. The school has been awarded six green flags to date and is currently working towards the seventh. School management supports the efforts of the village in the tidy town competition and has received favourable mention in the judge’s reports. The school was awarded the 2nd Active Flag in 2018 in recognition of all the sports and activities taking place there. We offer swim classes to each child annually. Music lessons take place in each class once a week , as does Music Generation Choral Singing Project. Private instrumental music lessons are available in the school after hours once a week. 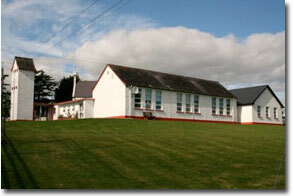 The children can avail of the services of Kildavin After School Facility which operates in the nearby Spellman Hall. Contact at any time by phone, email, website or by calling in to the secretary, Bernie.